Anne Dunhill was interviewed in yesterday’s Evening Standard. Here is my speech from the launch party of her new book, Anita, which took place last week at the Phoenix Artist Club. Anne Dunhill has asked me to say a few words to introduce her to you and speak briefly about her book, Anita. Even though I find it daunting to face such a distinguished audience as this one, I could hardly have refused her request. After all, is this not part of my duty as her publisher? I promise not to bore you and will guarantee the brevity of my address. Anne and I became friends on Facebook about a year ago, and it was through this medium that an introduction was forged. She told me about her manuscript and I invited her to show it to me. I read it over one weekend and rang her on the Monday to say how pleased I would be to publish it. 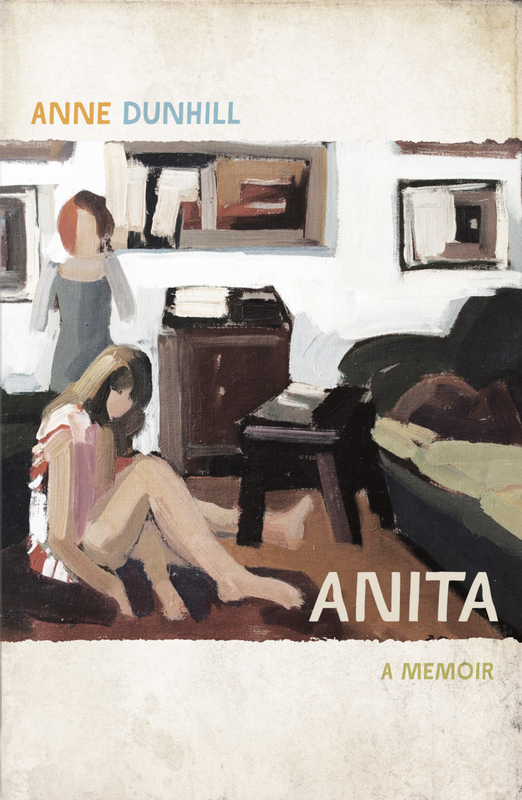 Anita is basically a memoir of a beautiful and beloved daughter lost in the prime of her life to cancer, though it also tells Anne’s unusual story. Back in 1969 she was a twenty-two-year-old with a successful modelling career, in flight from a marriage to a violent husband, but taken under the wing of her Aunt Dorothy, who bundled her off on a cruise ship to relieve the pressure. When the ship docked in Venice, she was introduced to Count Roberto Ferruzzi, a renowned Venetian artist, nineteen years her senior. He offered her protection and a refuge. They were together for six years and had two children, Ingo and Anita. So on one level the book charts Anne’s life as a wife who in many ways experienced difficult marriages, yet managed to bring up two separate families whilst living her life to the full in the glittering Venetian social scene. Surprisingly, and much to her credit, she managed to cope with the vicissitudes life dealt out to her and a frequently changing environment, showing great tenacity yet bereft of any bitterness. It is, however, her daughter, Anita, who is the undoubted heroine and focus of the book. In the way of mother and daughter relationships, theirs was sometimes problematic and often tempestuous, but over time they moved through their parallels and differences to arrive at harmony and reconciliation. At this point, with a cruel irony, the diagnosis of Anita’s illness struck like a thunder clap and she died only six weeks later in 2009. This is a book that took immense courage to write as a tribute to the daughter Anne lost through their rifts, and found again, but then lost forever. She deals with the whole tragedy and its traumas with a heart-breaking emotion that is unforgettable. Her story is deftly told and utterly moving. The pain is unconcealed, and no one can deny the triumph of having been able to write it down. It is certainly a story to bring tears to the eyes of the most hardened reader, and I urge every one of you assembled here to buy more than one copy of Anita as a tribute to Anne’s account, which has all the honesty and dignity that the loss of a greatly loved daughter truly merits. However, we are not here this evening to mourn, but to celebrate the publication of Anne’s book with the support of as much joyous warmth as we can give her.